Slice the orange, lime, and lemon. 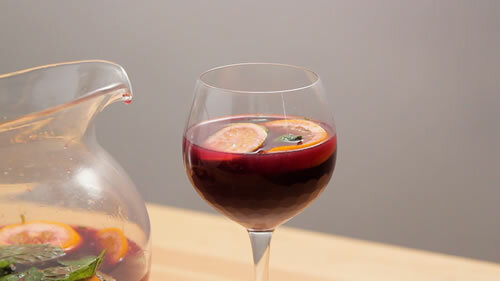 In a large pitcher, add the wine, brandy, orange juice, and sugar. Stir. Add the sliced orange, lime, lemon and stir. Add the mint leaves and stir. Refrigerate for 3 - 4 hours. Add the sparkling water, stir, and serve.